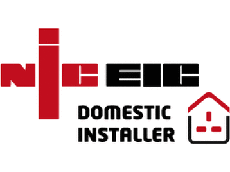 LJH Electrical your local NICEIC registered approved electricians. Health and Safety is a concern for every business owner, that’s why we only use fully qualified electricians to carry out work in accordance with all applicable British Safety Standards. We understand we have to be flexible so we are prepared for emergency 24hr call-outs to working weekends to cause minimal disruption to your business. Its Vital to regular maintain electrical equipment and installations, from appliances in your home right through to the wiring that supplies your business. We are able to advise you of the types of maintenance that your business must undertake and provide you with the experienced staff who can complete the work professionally on time. LJH Electrical can carry out a a vast range of electrical services from appliance repairs in your home to industrial wiring. We carry out work in domestic houses, flats, shops, restaurants and offices, to banks, factories, warehouses, industrial units. we offer 24 hour emergency call outs across suffolk and surrounding areas.